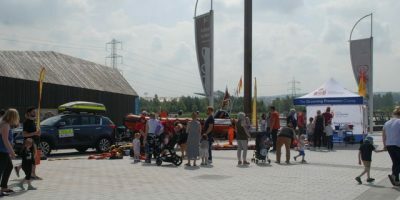 Open Water Rescue attended the 2018 Helix Emergency Services day held on 02/06/2018. We were situated at the cafe and next to the Royal Lifesaving Society UK (whom we are affiliated to). 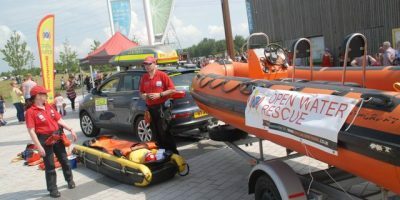 3 of our volunteers were at the community engagement show along with one of our boats and some of our rescue and training equipment. 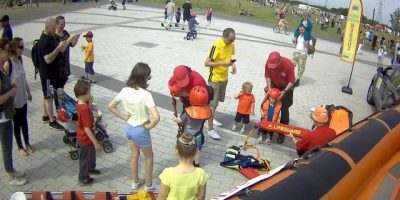 We were kept very busy with the hundreds of visitors… with many of the children (and even some adults) getting their photos taken whilst wearing some of our safety gear. The equipment was explained as well as how and why it is used and visitors had the opportunity to try CPR.